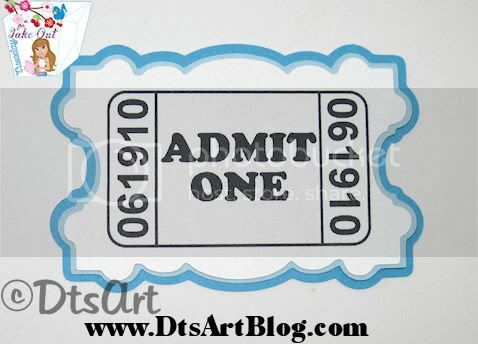 It is a cute little fancy ticket. You will have to put your information inside the ticket however. This actually would make a super duper cute journaling box too. 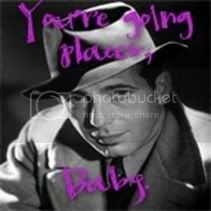 I appreciate you visiting my blog and Take Out Tuesdays are my way of saying thank you for being a regular. Take Out Tuesday downloads are only available on Tuesday and Wednesday. If you do not follow me consider doing so, so you won't miss any more Take Out Tuesday Downloads. 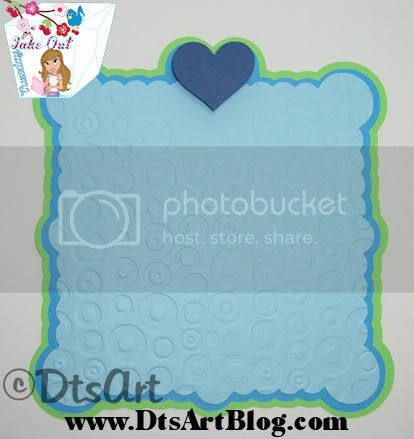 The Cut Out will also provide you with a fun inside mat too that you could decide to use instead of the cut out. Just so many ways to use this die cut. 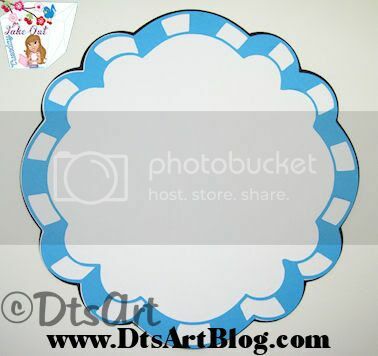 DtsArt Take Out Tuesday Freebies are provided as a way to say thank you to my followers and available for a limited time only, Tuesday and Wednesday, so be sure to download it soon. 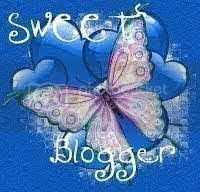 Thank you for being a regular to my blog and for following me. If you are not a follower please become one so you don't miss the next Take Out Tuesday Download. I hope you enjoy it and I would love to see some of your projects. 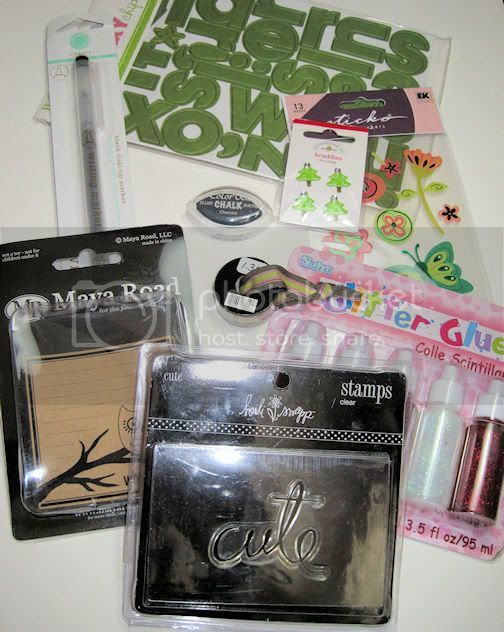 So I mentioned a couple of weeks ago that I won a challenge that I entered The Fantabulous Cricut Crawl for using the element that Tammy posted over at Addicted to PaperWhen my husband brought in the mail this was what was waiting for me!! YEA!! I love to get stuff in the mail!! I am usually the one sending it...LOL These are all my goodies. I can't wait to play with them all! Thanks so much Tammy! Hi all you Dandi Crafters! I am excited about this project because it is the first project that I completed as a Design Team Member for Sugar Sweet Paper Treats. The theme of this challenge was Stitches. So be sure to pop over there and visit and comment (it will make me look good!. 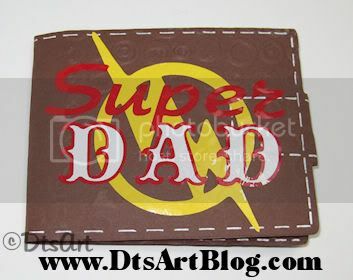 LOL) Come'n at you today is this cute little Father's Day Gratitude Faux Wallet. The wallet is faux not the gratitude...LOL The wallet has little pockets. Each of my 4 kiddos took an index card and wrote something that they were grateful for about their Dad and a nice little extra chore that they will perform to make Dad's life easier. Then I took a snap shot of the kids and placed in the picture pocket area. The picture and filled in gratitude index cards are not shown because the kids felt those should be for Dad's eyes only. But I am sure you get the idea. 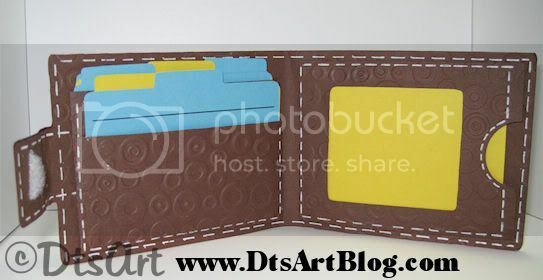 I also entered this project in the Fantabulous Cricut Challenge Blog where you had to "create a masculine project for dear dad"
This is what the wallet looks like before it is assembled. Of course you will have to add the faux stitching yourself. The wallet itself is made up of 4 pieces. 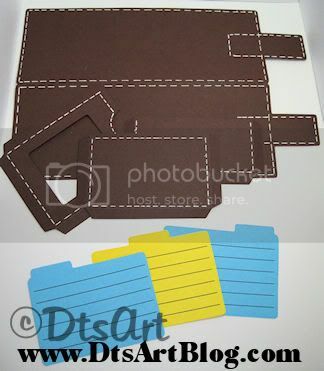 The wallet is made to cut out using only 2 pieces of 8.5 x 11 paper. 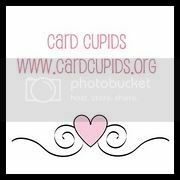 You can cut the index cards out on what ever paper you have laying around handy. I also used cuttlebug's embossing folder, classeur de gaufrage, Spots and Dots, Pois and Point, to give it a bit of texture to add some interest. 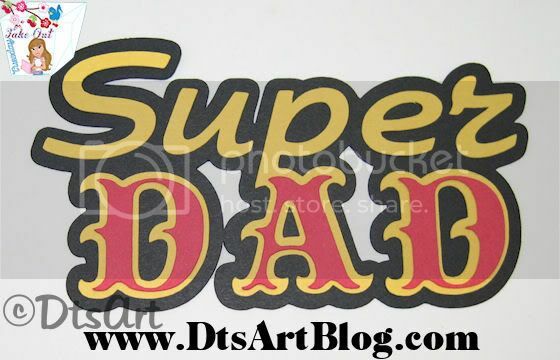 I also used some vinyl I had around to add a super dad logo to the front. The Super Dad I made up and cut out in SCAL but the lightening bolt emblem is from Cricut Cartridge/Cartouche Paper Dolls Dress Up, page 56 Accessories 2, no shift key, in the hand book. Add a bit of velcro to the tab area and the wallet will stay shut. Hi all you Dandi Crafters! Well it's Tuesday and you know what that means. It is time for some Take Out! This weeks Take Out Tuesday is a layered scallop frame with a heart. The frame as seen here is 5.25 inches tall. It makes a great frame but it would be cute to use as a journaling box too. The scallop square (shown in light blue) when it cuts has outline by product. This was intentional as I thought it would provide more creative choices for layering. So when you cut that layer you have an outline of the scallop square too. 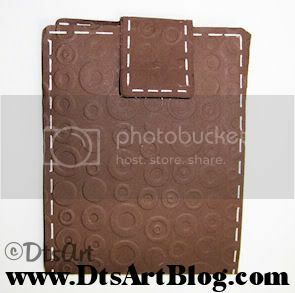 I provide DtsArt Take Out Tuesday Freebies as a way to say thank you to my regulars that follow me. Take Out Tuesday downloads are only available on Tuesday and Wednesday. If you do not follow me consider doing so, so you won't miss any more Take Out Tuesday Downloads. Hey will you look at that. I woke up this AM to an award. At my advanced age I don't take awards lightly. When you grow up it is not like you get awards everyday. Oh how nice that would be, wouldn't it. Oh your hair looks great today, here is an award. Oh you did the right thing by returning that wallet, here's your award. How spectacular of you to clean up a mess that wasn't yours, here is your award. Nope, life's not like, so I appreciate when someone pauses from their day to say here is a gold star for you. Keep up the good work! Who was that someone? Well the one who paused from her busy schedule to say, "hey, I officially like your blog is...Judy from Judy's Card Making and Papercrafts Thanks so much Judy. Thank you for noticing my lil' blogging pit stop on the fast moving, fast paced, faster than the speed of light, net. Now to officially get this award I have to mention 10 things that I love. Which is good because I really don't talk that much about myself, I never know what to say...LOL. 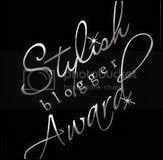 Then I have to pass this lil' ol' blog award along to 10 others. So let's get this party started. #5. Disney World...oh how I love it. It is not a place, it is a state of mind. This is the first place that my husband and I ever took a vacation to when we were first dating. I got married at Disney World at the Grand Floridian. It is where we went on holiday when I was pregnant with all 4 of my kids. It is the first vacation we took them on when they were born. It is a place that when I go on holiday, I still do not bring a computer, that I just soak in the whole experience. The place where I have my 4 kids and husband together without anyone needing to run off to.... For several days there are no other distractions other than being a family and spending time together, discussing memories and funny family moments and making new ones. #3. My kids...4 of them. They are all great, have their own personality. Although they all look a like, they act nothing alike. Each one has wonderful attributes that I find myself admiring, that I don't possess myself. They are all perfect, everything I ever wanted...then they wake up....and act like, well they act like, siblings to each other... I know that I love them, I know this because in spite of having 3 teenagers in the house I don't choke'm. 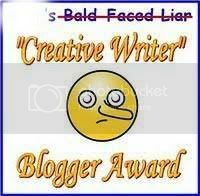 Now to pass this award onto 10 blogs, in no particular order. These blogs always have some awesome projects on them. Now go explore why these blogs are so great. Hi all you Dandi Crafters. Thanks for meeting me back here and for following along. Well as promised I came up with a little thank you for all my follwers. When I post projects from time to time I mention that I used paper that I designed myself. I have TONS of it. So I thought you might would like some. Hey if you like it and want me to make more available for Take Out Tuesdays be sure to give a shout out and let me know. Included in the folder are 3 papers. The papers are 300dpi, which just means it is appropriate for printing. I have made them in sizes 8.5x11 inches and also 12x12 inches. Thanks for Following Along. Enjoy! Be sure to scroll down I included a few more things to download so you won't want to miss those post! Hi some more all you Dandi Crafters. Well the 100 Followers Thank You Celebration continues. I draw lots of stuff. It is just what I do. Here is a couple of little flamingos in a pond to ago along with the digital scrapbook paper. You just print the image, which is again 300 dpi, off on a piece of paper and color the image with your colored pencils or copics, which ever you prefer. you can resize the image to fit your needs. The one shown in the example is just that, an example. The image is a black line image. You get to color the image yourself to your liking. Thanks for following along. Enjoy! 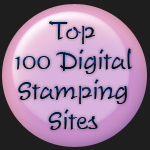 Oh yea, and if you came back and posted a link if you use the stamp I would be tickled pink! 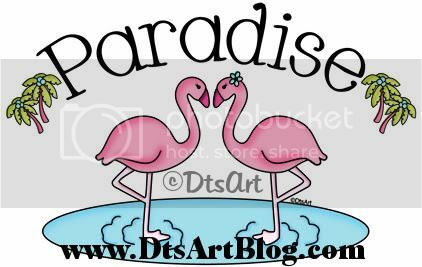 LOL get it tickled pink...and were talking about flamingos...LOL No seriously I get such a kick out of seeing what other people do with my stuff. I am much more interested in seeing what other do with my art than anything I ever do with it. Well Enjoy! You will have to come up with an eye yourself. 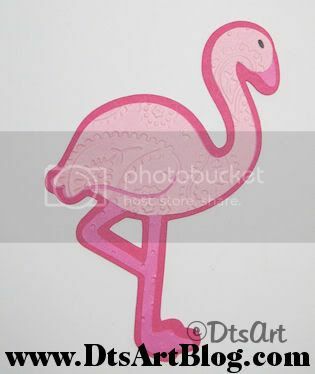 You can stamp it on, use a googley eye, or draw it on or whatever you think will fit your dude or dudette flamingo. As always thanks for following along! I appreciate it. I hope you now feel properly appreciated. LOL Enjoy! Hi all you Dandi Crafters!! I am happy to say that I have reached 100 Followers! YEA ME!! GO ME!! LOL No really YEA YOU!! and Thank You! I have to say that I have come here unprepared. I feel like one of those actresses at the Oscars that comes up on stage and gives a lame, dorky, but disarmingly charming, speech because she had nothing prepared because she didn't think she would win. Well I don't know, I guess I thought it would take longer to be reach 100,or some of you, a lot of you, would come to the conclusion you got it wrong, I am not crafty and stop following me. LOL Well thank you for sticking with me and following me and maybe thinking from time to time that I have a crafty good idea. Any way I just wanted to say Thanks and to come back Wednesday! Ya, by then I will have 1. Figured out something, and 2. Have time enough to create it and upload it. I didn't want to reach 100 followers and not acknowledge it and say Thank YOU! OK See Ya back on Wednesday! Hi all of you Dandi Crafters! Thanks for meeting me back here today for another Take Out Tuesday! This week I am providing another sneak peak at my pending Monster Mania release. I only have eyes for YOU! Beaker....LOL Get it, the beaker only has ONE set of eyes, and there for you...hehehe LOL Well I thought it was funny, ok I thought it was dorky too, but it is best you find out how I really am early on. Anyway as you can tell from this sneak peak along with the last sneak peak that Monster Mania is going to be a light hearted fun release. The eyes are a set of circles and they are grouped together so that no matter how you size them they will stay in proportion to each other. For the example here I cut the eye set 3 different times in black, white and light blue. However, they are eyes and that means you can add or not add as many layers as you like. 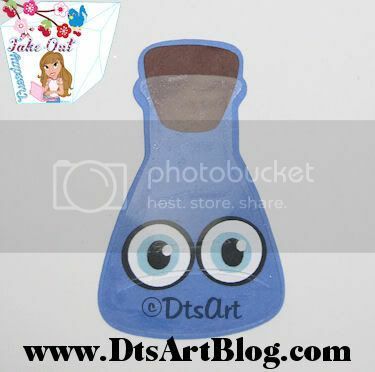 Of course it is a beaker so you can put a lot of other junk in it besides eyes. LOL Also, I do want to mention that there is only a single eye set included in the folder not two. I didn't want you to be searching for a second one going where is it. I only included the SVG files in this folder as I am not sure how many are actually using the SCAL files. If you are, let me know if that is how you prefer it by posting a comment. I do put up Tuesday Take Out for my regular followers and want to do what is easiest for them. DtsArt Take Out Tuesday Freebies are provided as a way to say thank you to my followers and available for a limited time only, Tuesday and Wednesday, so be sure to download it soon. Thank you for being a regular to my blog and for following me. If you are not a follower please become one so you don't miss the next Take Out Tuesday Download. OK everyone ENJOY!